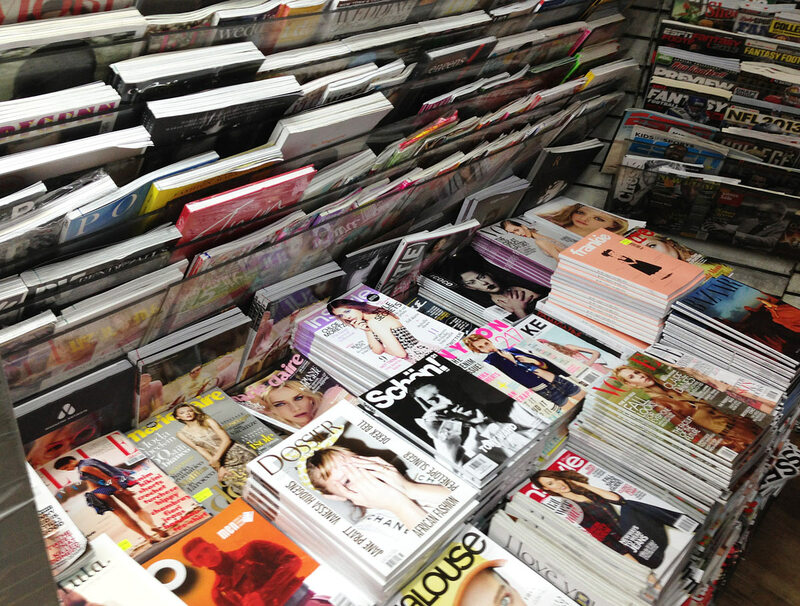 One of my favorite little indulgences when I have a little personal time or need a dose of extra inspiration is to stop at one of New York’s magazine shops. 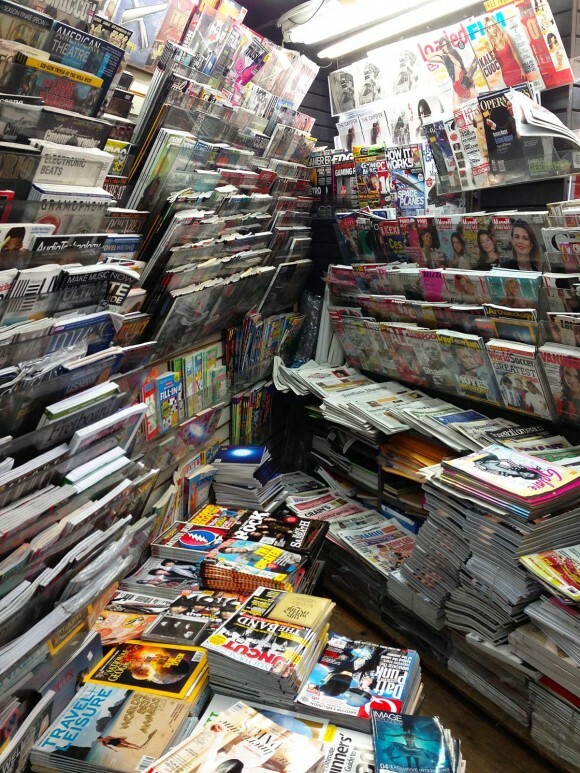 You can find little magazine stands all over New York City, but most of them carry the same basic magazines and newspapers. 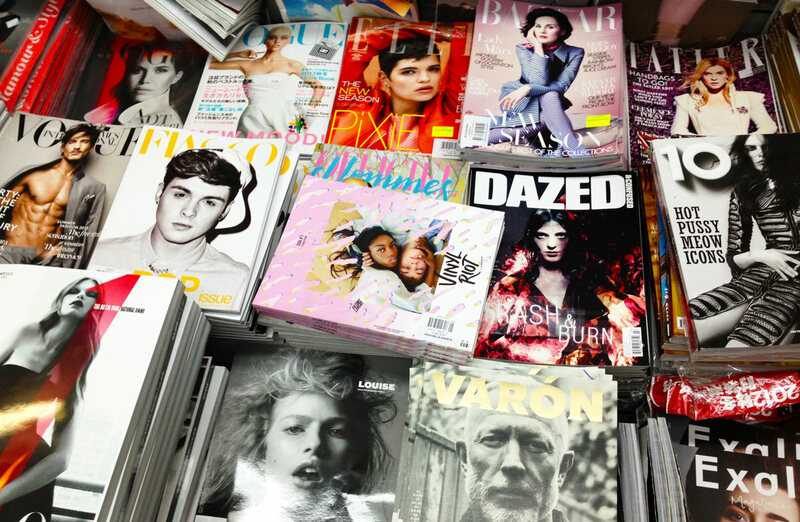 When I really need a magazine fix I stop at one of my two favorites shops in the city. To be honest, I love these two stores so much that if I didn’t live in New York, they would be near the top of my must-do list every time I visited. My first, love is Around the World, in the fashion district, which carries primarily fashion-related materials and is a terrific resource for anyone in the business. 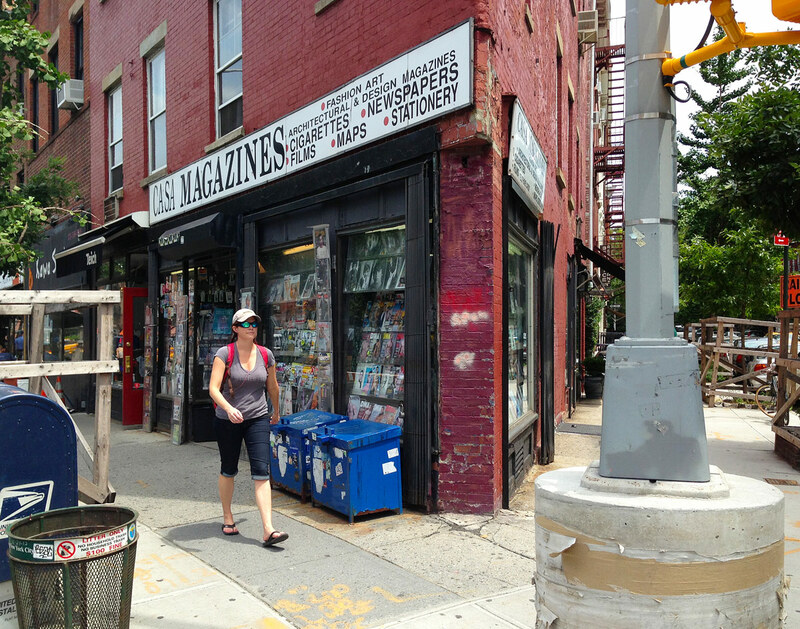 But for a wider variety, I head to Casa Magazines, in the west village. I had time last weekend to drop by Casa and took some photos to share with you. Isn’t it cute? It’s a tiny little place. Casa Magazines stocks such a broad and deep range of magazines, I’m convinced it’s impossible to browse without finding something that interests you. They carry my beloved Marie Claire Idees, along with every sewing, knitting, and scrapbooking magazine you’ve ever heard of. Their fashion magazines come from all over the world, and the selection doesn’t end with Paris Vogue; it includes Vogue from every country, as well as every little obscure fashion magazine you’ve never heard of, in every language imaginable. A while ago I was hanging out at the apartment of a friend who works as a dresser during Fashion Week, and I fell in love with a completely un-known new fashion magazine he had laying around. In his line of work, my friend sees everything there is to see in the fashion world and has his ear to the ground in ways I simply can’t. And don’t. I was able to locate the same magazine at Casa Magazines later, and I’ve never seen it anywhere else. 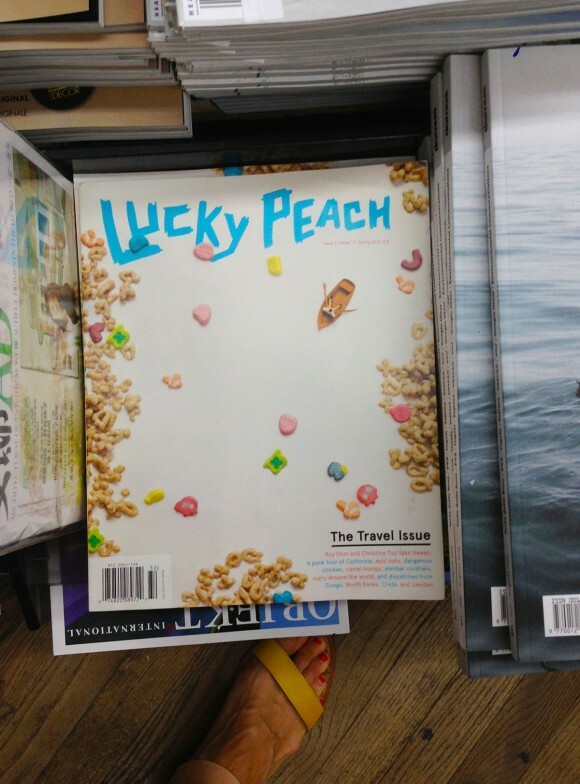 Casa even carries the latest issue of Lucky Peach. You know, the one with the colorful breakfast cereal floating in milk on the cover? Don’t worry; I didn’t know about it until I saw it, either. Apparently it’s published by the David Chang, the owner of the famous Momofuku restaurants. Momofuku, translated into English, means Lucky Peach. The Momofuku milk bar has a big cereal theme, so the cover makes perfect sense, really. Come to think of it, Momofuku should also be on your must-do list when you visit. When are you coming? 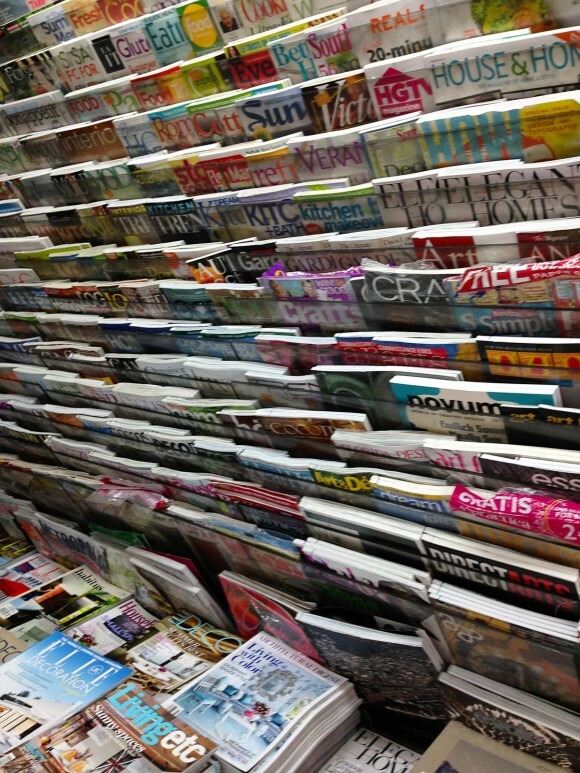 For a recent trip I headed to our local magazine mecca – Nicola’s Books in Ann Arbor and bought a stack of foreign magazines. British and French issues of Vogue, Harper’s Bazaar, Country Living, Quiltmania, and others. What a treat! I will have to try to find Casa Magazine next time we’re in NYC. Another recent fav find for us there is Kinokuniya next to Bryant Park. I could lose a whole afternoon there. That looks like a fun place! I wish I had a visit planned, someday! I was thinking about hopping the train and coming down to visit my son soon, will put this on my list for sure. I also plan to fabric shop. Last time he took me to a couple fabric shops and just walking into those places and gazing around I practically went into a catatonic shock from fabric overload. I didn’t even buy anything. This time I plan on being more prepared. Can you give us a few names of places in the fashion district for fabrics as well as some that have an interesting variety for notions and lace, etc. (You may have already done this, in which case can you direct me to the old link). I will be meeting up with my son’s girlfriend’s lovely mom. She speaks little English and I speak no Russian but she is a professional seamstress and I have been sewing for about 55 yrs so we share the universal language of fabrics, thread, and stashes. I think we’ll have a blast shopping, and I have heard she is also looking forward to our jaunt. Thanks. Brenda, I need to make a new list! Here is my old one. I’ll update it and post it to this blog soon. Thanks for the reminder! Ohhh….I should not have seen those pictures! I’ve been a magazine addict since I was in my teens, almost 40 years ago. You should see my house….piles and piles of knitting, crochet, quilting, etc, magazines because hey, I plan on making everything in those magazines before I die!